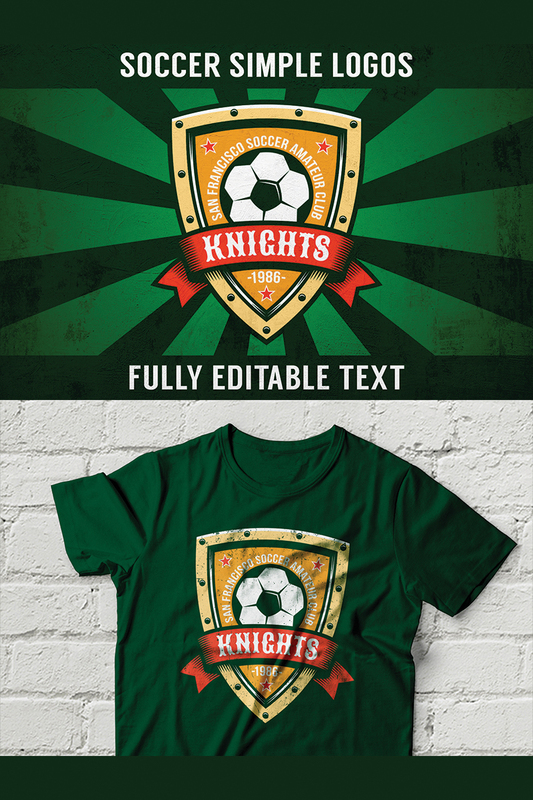 Set of simple soccer logos with editable text. Easily applicable for football teams, clubs, leagues. 7 monochrome football logos with soccer ball. Vector AI CS6, EPS10 and raster layered PSD, JPG files. AI CS6 and PSD files with editable text. 2 colored football logos with soccer ball. Vector AI CS6, EPS10 and raster layered PSD, JPG files. AI CS6 and PSD files with editable text.